Neuropsychology is a sub-field of psychology. Neuropsychology concerns the study of the structures and functions of the brain as they relate to specific psychological processes and behaviors. Neuropsychology can be thought of as a midway between neurology, which focuses on the physiology of the nervous system, and classical psychology, which focuses on the psychological processes of the mind. Neuropsychologists aim to understand how behavior and cognition are influenced by brain functioning, and are concerned with the diagnosis and treatment neurological and psychological disorders. They treat the behaviors and cognitions (thoughts) of those effected by these disorders through a number of scientifically-proven techniques and therapies. We offer neuropsychological testing services for identifying a number of neurological and psychological disorders. Psychotherapy, otherwise known as “talk therapy”, involves a person with mental or emotional problems talking with another person. This other person may be a psychiatrist, psychologist, counselor, clinical social worker, member of the clergy, alternative practitioner, or (to use the concept in its broadest sense) any helpful person. With successful psychotherapy, a client experiences positive change, often by resolving troublesome behaviors, beliefs, compulsions, thoughts, or emotions. Ideally, these dysfunctional processes are replaced with more functional alternatives. 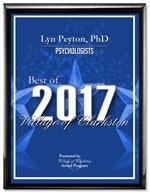 Psychotherapists employ a range of techniques designed to improve the mental health of a client or patient. Psychotherapy includes interactive processes between a person/group and a psychotherapist. This type of therapy aims to increase the individual’s sense of his/her own well-being. We offer a variety of therapeutic formats, including individual, family, and couples therapy. A list of some of the services we provide are listed below. Speech-language pathology is a field of expertise practiced by a clinician known as a speech-language pathologist (SLP), also called a speech and language therapist, who specializes in the evaluation and treatment of communication disorders, cognitive communication impairments, voice disorders, and swallowing disorders. Cognitive communication impairments that can result from Traumatic Brain Injury or stroke. We offer speech-language testing services for identifying a number of speech-language disorders. Evaluation and treatment of cognitive communication impairments, expressive and receptive language impairments, articulation impairments, fluency, apraxia, voice, and dysphagia.